I am so over the moon excited to announce that I am the newest addition to the design team at Paper Issues. I have been a big fan of the shop, blog, design team and Facebook community for awhile, so it was such an honour to be asked to be a part of the team. 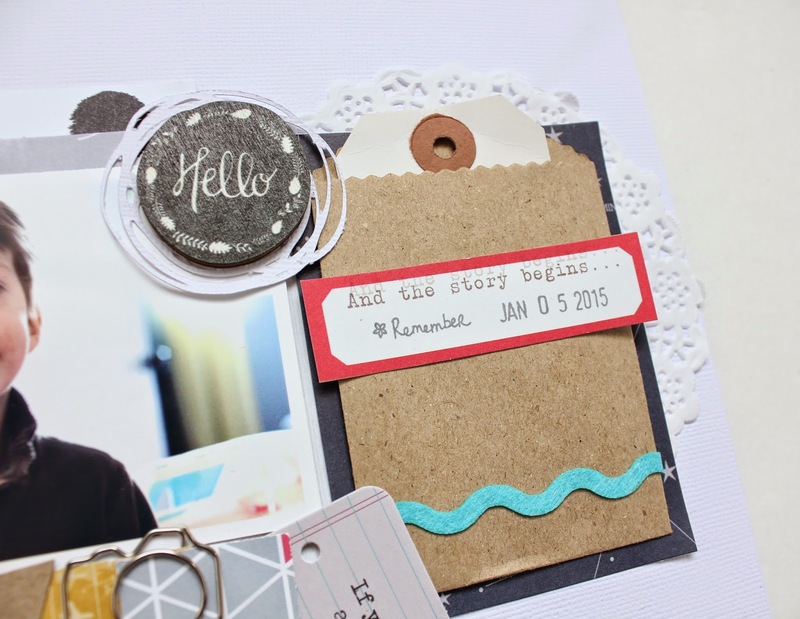 I am up on the Paper Issues blog today with a layout I made using the December and January swag bags. I love the swag bags so much, that I started a six month subscription to make sure I always get one. They are little bags of awesome and they always sell out. I really can't get over all the stuff that Cassie gets into each swag bag. 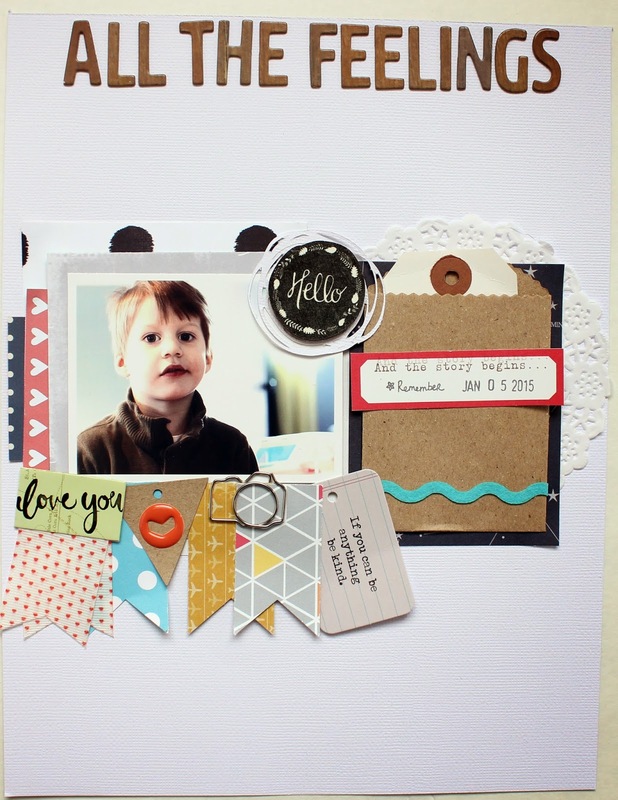 They are filled with patterned paper, journal cards and embellishments. 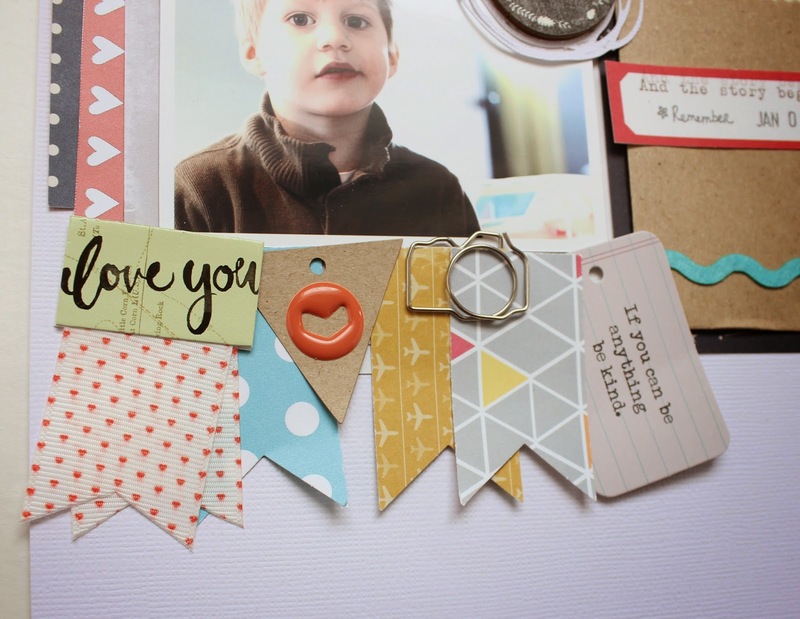 Everything you could need to make layouts, cards, or Project Life spreads. I made this layout about our son's first day of preschool and how I was feeling 'all the feelings' about it. I decided to do all my journalling on a shipping tag and slip it inside the brown paper bag to keep it a bit private. Everything on the layout came in the swag bags except for the Thickers and the shipping tag. Both the December and January swag bags are sold out, however February will be released tomorrow!! Better yet, sign up for a six month subscription, so you never miss out. Use my discount code petitenoonie to get 20% off in the Paper Issues shop. Hop on over to the Paper Issues blog as I'm sharing a bit about myself and there is just so much wonderful inspiration over there!